The Red Sox continue to act like small-market losers—not big-market winners—in their effort to replace retiring David Ortiz at DH. 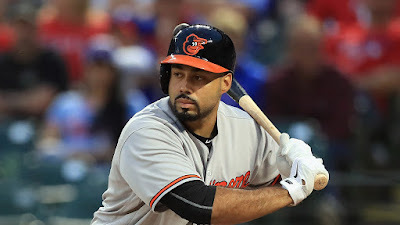 The latest foray into the dregs of major league baseball is lifetime .238 hitter Pedro Alvarez. Last season—on the strength of a one-year $5.75M contract with the Orioles—Alvarez hit a "robust" .249 with 22 HRs and 49 RBIs in 376 plate appearances. Great for AAA, but not for a pennant contender. What is John Henry thinking? Maybe he's looking eastward again toward his foreign soccer team—which for once under his ownership is actually contending.